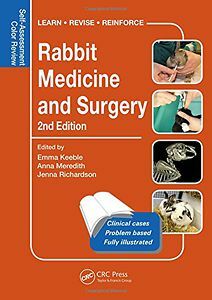 Rabbit Medicine and Surgery: Self-Assessment Color Review covers a wide range of topics from basic biology and husbandry to advanced diagnostic, medical, and surgical techniques. It is a practical, easy-to-read, and illustrated reference book useful in the clinical setting to help diagnose and treat clinical cases. It is also useful as a revision guide to test the knowledge of those taking examinations in exotic animal medicine. This new edition offers an increased emphasis on more advanced diagnostic and imaging techniques as well as recent advances in emergency care, analgesia, and surgery. 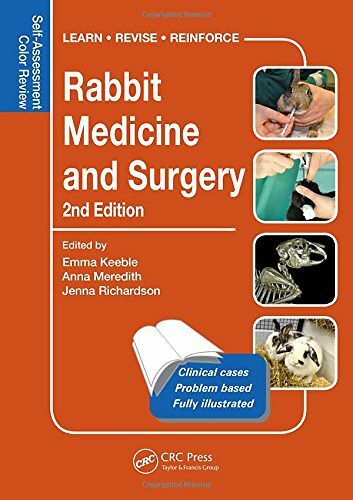 Written by practitioners with many years of experience treating rabbits, this edition includes 230 new and updated cases in random order, as they would be presented in practice. Each case includes questions with answers that fully explore the disease or disorder in question. It is an invaluable resource for all those working with pet rabbits.